A cost-cutting proposal to turn the only dedicated public art gallery in Lincoln into a wedding venue and Coroner’s Court is coming up against increasing opposition – including from the city council that owns the building and the art collection it holds. The Grade II listed Usher Gallery in Lincoln opened in 1927. It was bequeathed to the people of Lincoln to house the fine and applied art collection of James Ward Usher, a wealthy local businessman and collector. It is currently run by Lincolnshire County Council, which has proposed the changes that it says would save around £750,000 a year. 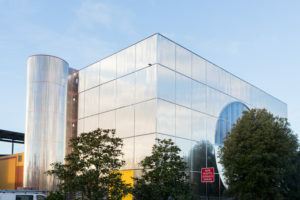 The proposals, which include moving the Usher’s art collection to a new site in the nearby The Collection museum, are currently undergoing a public consultation which continues until 24 April. 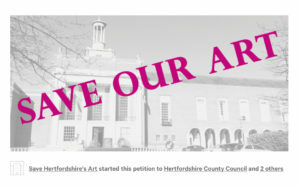 The county council’s plans have attracted widespread opposition. 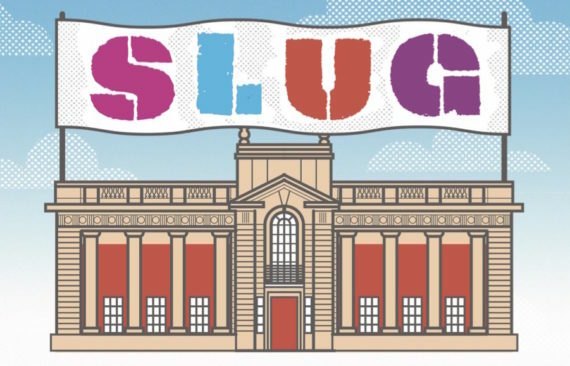 A campaign group, Save Lincolnshire’s Usher Gallery (SLUG), has been launched and a petition on change.org has so far attracted over 3,000 signatures. The artists Marc Renshaw and Ellie Collins are among those protesting against the plans. The latest exhibition at the temporary Grimsby gallery …blip art space, which they co-run, is dedicated to the campaign to keep the Usher open as an art gallery. It continues until 29 March, after which …blip will itself be closing. 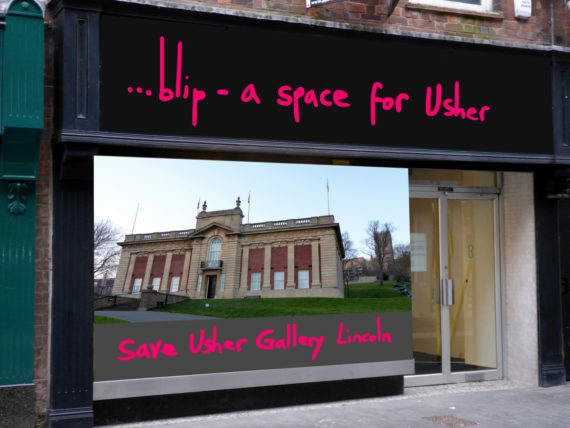 In its response to the county council’s proposals, the City of Lincoln Council has said that the Usher Gallery building should be spared any changes. Councillor Ric Metcalfe, leader of City of Lincoln Council, told The Lincolnite: “We believe it is important to keep the Usher Gallery for the purpose it was originally designed, remaining true to the bequest of James Usher. 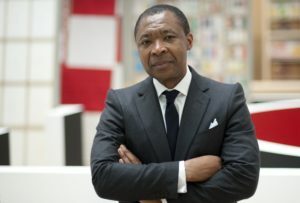 “It is clear that public opinion supports this and I hope the feedback the county council receives to its public consultation will provide them with the opportunity to reflect on the wishes of various groups and individuals, and change their initial proposals.